90% of the population aged 14 years has drunk alcohol at some time during their life. The majority of young people are now much more likely to drink spirits, such as vodka or premixed spirits (RTDs or Alcopops), than beer or wine-based drinks. Students are now coming into contact with spirits at a much earlier age than before. Many are unaware of the risks associated with their use. Spirits have a much higher alcohol content than beer and wine and unfortunately come with greater dangers. Makes judgement, coordination and balance more difficult. Therefore any alcohol or drug abuse will disrupt this process and affect how the brain develops. Studies show that marijuana affects attention, memory and the ability to learn. Its effects can last for days or weeks after the drug has worn off. Students who smoke marijuana tend to get lower grades and are more likely to drop out of high school. One recent marijuana study showed that heavy marijuana use in your teen years and continued into adulthood can reduce your IQ by up to as much as 8 points. Did you know that nearly one-third of school dropouts decide to leave school because their use of alcohol or other drugs is an important factor? Attend college or university or obtain a degree. Adolescents need help and support to overcome the temptations that may fall into their path. This workshop introduces students to the risks and effects of tobacco, alcohol and other drugs. It also focuses on refusal strategies. 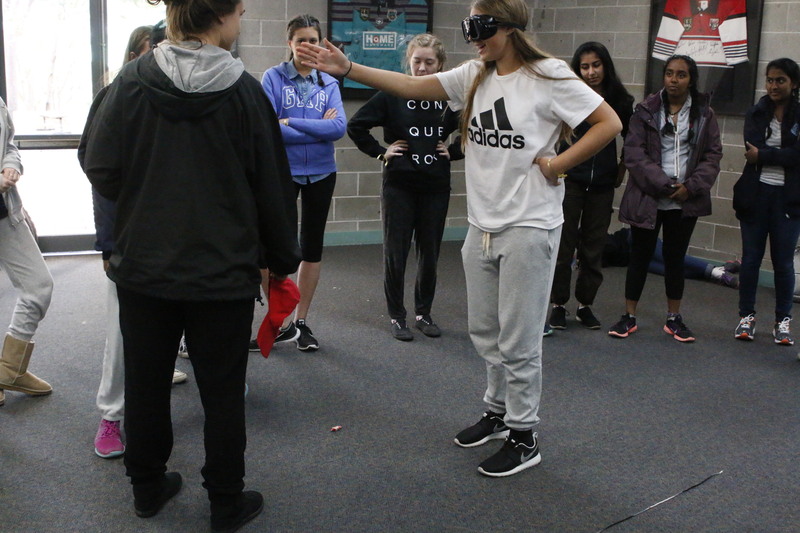 We give students the tools and strategies to help them make informed and safe decisions. Workshop activities include multi-media presentations, short films, group discussions and work, role playing, games and other activities. We also discuss First Aid and what to do when things go wrong. 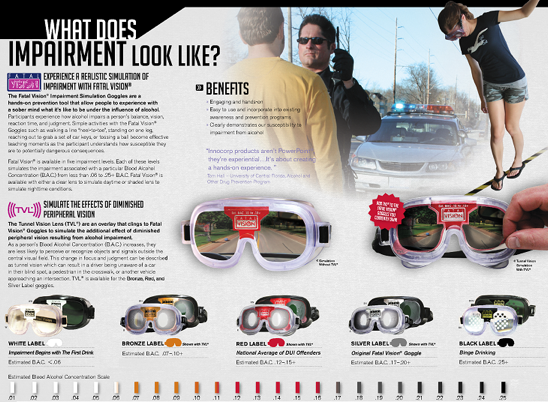 The students wear fatal vision range googles to show them what their environment is like under the influence of alcohol (see image). We can also organise for a motivational speaker to come and speak to the students.